The "North East territory" encompasses four of the country's 20 regions. 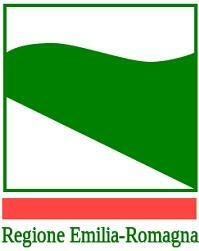 Northeast Italy (Italian: Italia nord-orientale or just Nordest) it encompasses four of the country's 20 regions. In English, the region is also known as Trentino-South Tyrol. The region is divided into two autonomous provinces: Trentino (Province of Trento) and South Tyrol (Province of Bolzano). The Italian state recognised a certain degree of autonomy for the region and its two constituent provinces. This statute gave the region the right to initiate its own laws on a wide range of subjects and to carry out respective administrative functions. The main language groups are Italian and German, with small minorities speaking Ladin, Mocheno and Cimbrian. The latter two are Bavarian dialects. One of five autonomous regions with special statute. The capital is Trieste. Italy's most North-Eastern region and a natural opening to the sea for many Central European countries, the region is traversed by the major transport routes between the east and west of southern Europe. The region spans a wide variety of climates and landscapes from the mild Mediterranean climate in the south to Alpine continental in the north. The climate is Alpine-continental in the mountainous areas, where, in some locations, the coldest winter temperatures in Italy can often be found. In the provinces of Udine, Gorizia and Trieste, a number of Slovene dialects are spoken along the border with Slovenia. Slovene is especially present in the mountainous areas of eastern Friuli, in the area known as Venetian Slovenia (which comprises the Resia Valley and in the upper valleys of the rivers Torre and Natisone), in the villages north and south of Gorizia and on the Carso plateau around Trieste. A small Carinthian Slovene community also exists in the Val Canale on the border with Austria, in the municipalities of Malborghetto Valbruna and Tarvisio. In the Province of Udine, Slovene has only been officially recognized as a minority language since 2001, and there are few bilingual public schools, mostly located in the southern area, close to the Province of Gorizia. Once the heartland of the Venetian Republic, Veneto is today among the wealthiest, most developed and industrialised regions of Italy. Veneto, as part of the Republic of Venice, had been an independent state for more than a millennium and Venice ruled for centuries over one of the largest and richest maritime republics and trade empires in the world. Having one of the country's richest historical, natural, artistic, cultural, musical and culinary heritages, it is the most visited region of Italy, with about 63 million tourists every year. Due to this rich cultural legacy and a unique identity, the regional statute describes Venetians as a "people". Besides Italian, most inhabitants also speak Venetian. 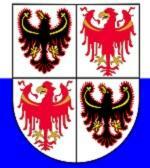 Veneto is today one of the greatest immigrant-receiving regions in the country. 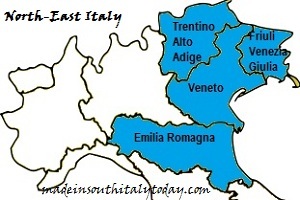 The region comprises the former regions of Emilia and Romagna and is one of the richest, most developed regions in Europe. Bologna, its capital, has one of Italy's highest quality of life and advanced social services. Emilia-Romagna is also a cultural and tourist centre, being the home of the University of Bologna, one of the first universities in the world, containing Romanesque and Renaissance cities (such as Modena, Parma and Ferrara), being a centre for food and automobile production (home of automotive companies such as Ferrari, Lamborghini, Maserati, Pagani, De Tomaso and Ducati) and having lively coastal resorts such as Rimini and Riccione. 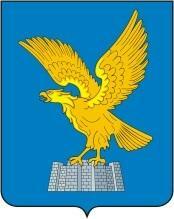 The name Emilia-Romagna is a legacy of Ancient Rome. Emilia derives from via Æmilia, the Roman road connecting Rome to northern Italy, completed in 187 BC and named after the consul Marcus Aemilius Lepidus. Romagna derives from Romània, the name of the Eastern Roman Empire applied to Ravenna by the Lombards when the western Empire had ceased to exist and Ravenna was an outpost of the east (ca. 540 - 751). Before the Romans took control of Emilia Romagna, it had been part of the Etruscan world and then that of the Gauls. 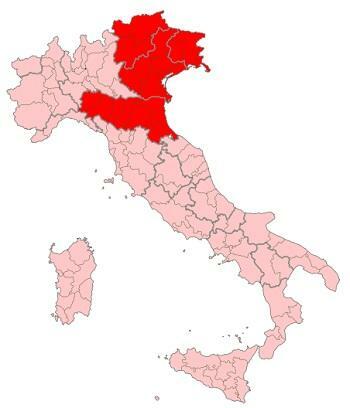 Emilia-Romagna, except for the province of Piacenza, was historically a stronghold of the Italian Communist Party, and now is a stronghold of center-left coalitions, forming with Tuscany, Umbria and Marche the famous Italian political "Red Quadrilateral".